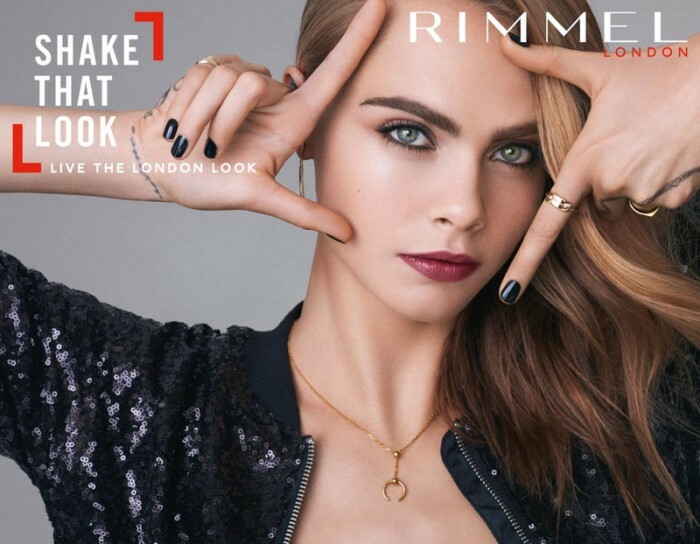 Actress and model Cara Delevingne turns up the glam factor in her latest Rimmel London campaign. Named an ambassador of the brand last year, the blonde shows off two recent products from the cosmetics brand. Cara gets her closeup in the Volume Shake Mascara and Brow Shake Filling Powder advertisements. In one shot, the British beauty wears a sequined jacket paired with a full set of eyelashes and her hair in messy waves. And in another, Cara’s already bold brows get even more daring while she flaunts a peace sign. 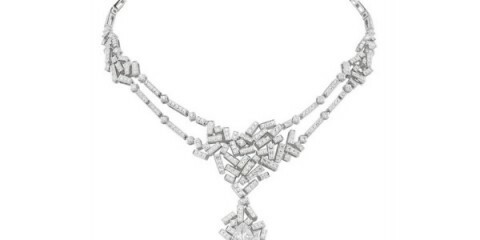 And you can also see Cara in motion for the accompanying television commercials below.